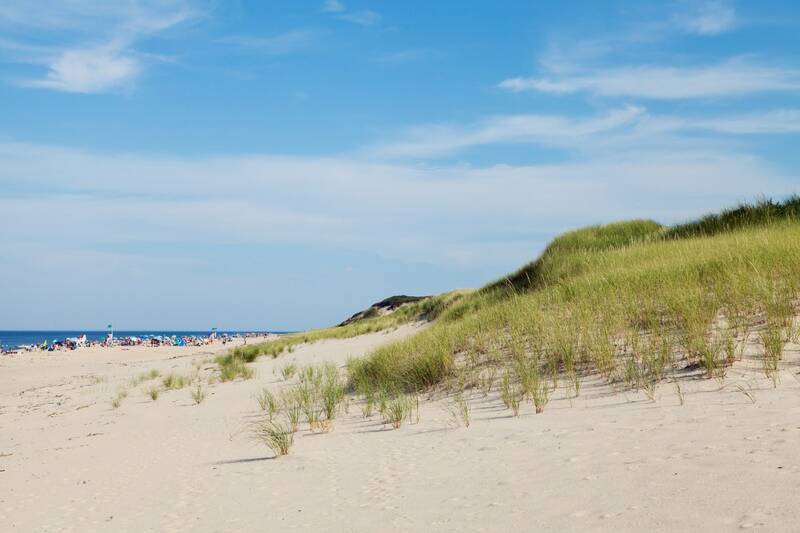 Cape Cod is filled with optimal places for outdoor enjoyment. Its sandy beaches and green foliage give the area a unique charm. Whether you are looking to lounge by the beach or pedal through the town, there are a variety of outdoor activities to enjoy. One of our favorite spots is Cliff Pond in Brewster. Just 10 minutes away from Candleberry Inn, this fresh water pond is a great break from the salty ocean. The pond offers roped off swimming, boat rentals, a small beach, and gorgeous, lush scenery. Located in Nickerson State Park, Cliff Pond in Brewster is also a great starting point for some hiking trails. Enjoy some Cape Cod sunshine and a variety of fun water activities at Cliff Pond in Brewster! Find out more about the fun things to do near Candleberry Inn when you download our free Vacation Guide. It features all our favorite places to go in Cape Cod, like Cliff Pond in Brewster and the Heritage Museums and Gardens. Locals and visitors alike frequent Cliff Pond in Brewster for the fantastic swimming! There is a section roped off to ensure the safety of all swimmers. The pond is also incredibly clean with minimal vegetation, making it perfect to take a dip! Cool off from the hot sun at Cliff Pond in Brewster. Float serenely while gazing up at the trees lining the blue skies on the still water. With stunning, clear water and warm temperatures in the summer months, you are sure to love this unique activity!. Cliff Pond in Brewster is the perfect place to boat because of its calm waters. Jack’s Boat Rentals offers a variety of rentals, from canoes and kayaks to paddle boards. The rentals are charged by the half hour with every fourth hour free! The pond expands across 204 acres, giving boaters more than enough room to share the water. Enjoy a light breeze as you journey out on the pond. You’ll love a leisurely paddle at Cliff Pond in Brewster while appreciating the surrounding scenery. Cliff Pond in Brewster is one of the best places for Cape Cod trout fishing! The pond is the most heavily stocked trout water in the area. Cast a line and reel in brook, brown, and rainbow trout from the shore or boat. To catch these beauties, we recommend fishing from a boat because they are usually located at depths of 30 to 40 feet. Use smelt streamers or small, narrow spoons and spinners. Other types of freshwater fish can be found in the pond as well. Relax in the Cape Cod sunshine until you see a tug on your fishing line. Then, feel the excitement as you reel it in! When you’re done swimming and boating, you can enjoy the nature of Cliff Pond in Brewster by embarking on one of the many hiking trails throughout the area. We recommend taking the Cliff Pond Trail. This 2.8-mile hike loops around the pond and is good for all skill levels. The rest of Nickerson State Park offers over 8 miles of trails as well. 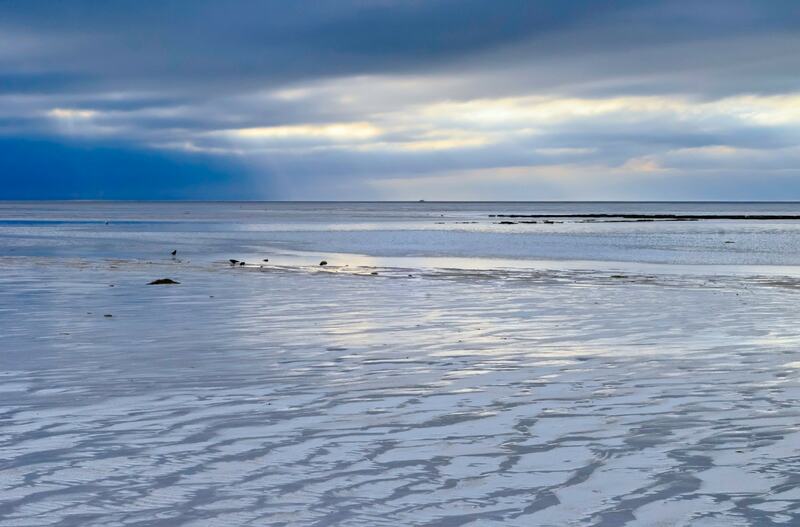 The sand dunes and salt marshes will disappear as you ascend to a retreat of pine forests and lush hills. 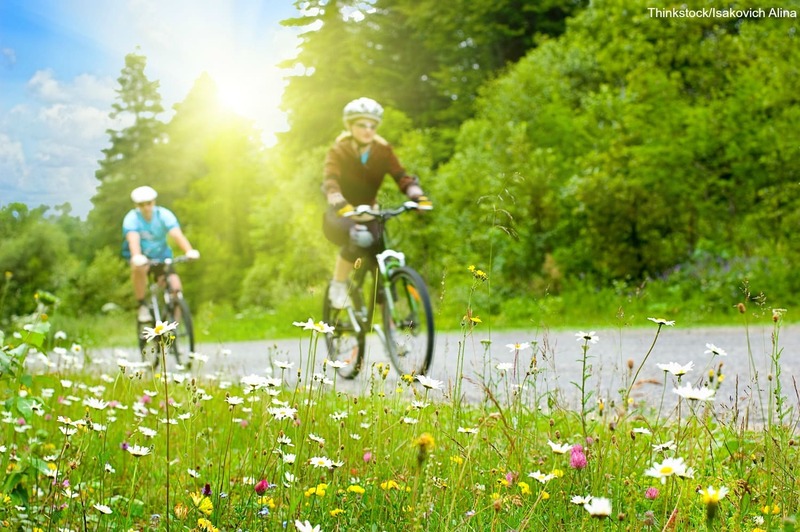 Whether you choose to hike or bike, these trails are fun for adventurers of any level! If you’re not looking to participate in any rigorous outdoor activity, you can still lounge on the sandy waterfront of Cliff Pond in Brewster and relax the day away. With serene natural surroundings, including green forests and calm waters, you will feel just like you’re supposed to on vacation- comfortable and rejuvenated! After a day at Cliff Pond in Brewster, come back to Candleberry Inn for a peaceful night’s sleep in one of our cozy rooms. Then, wake up in the morning to our homemade breakfast and start off another beautiful day in Cape Cod!